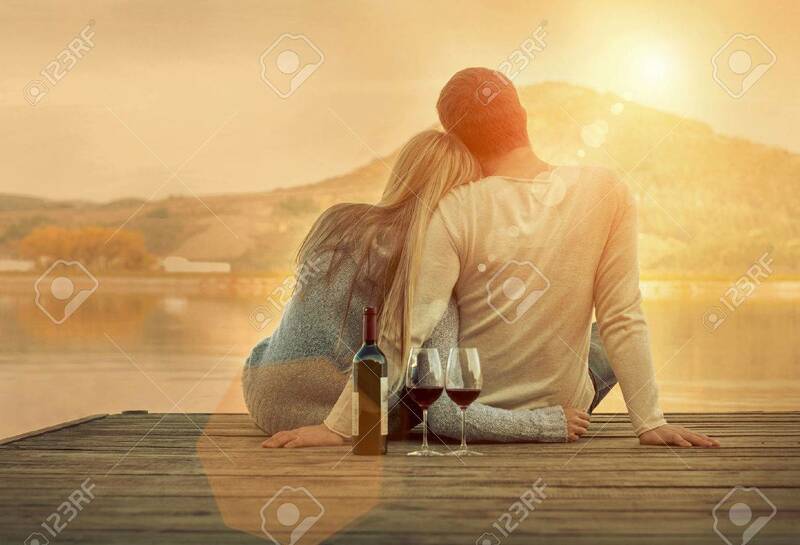 Romantic Couple Sitting On The Pier With Red Wine. Royalty Free Fotografie A Reklamní Fotografie. Image 50687905.